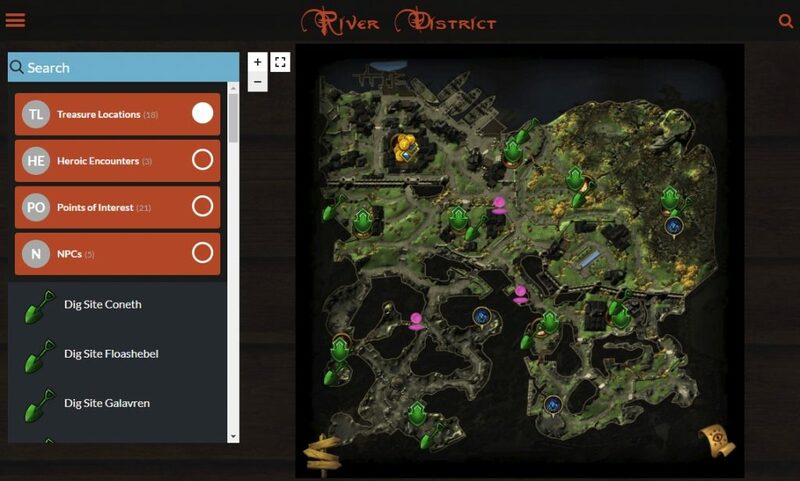 One of the more recent additions to Neverwinteractive are the all-in-one treasure maps for the Sea of Moving Ice, River District, Soshenstar River, and the Lost City of Omu. With the recent map application update, I put time into making the maps more interactive. Taking the River District map below as an example, you can see in the bottom right corner of the map a new Scroll icon. 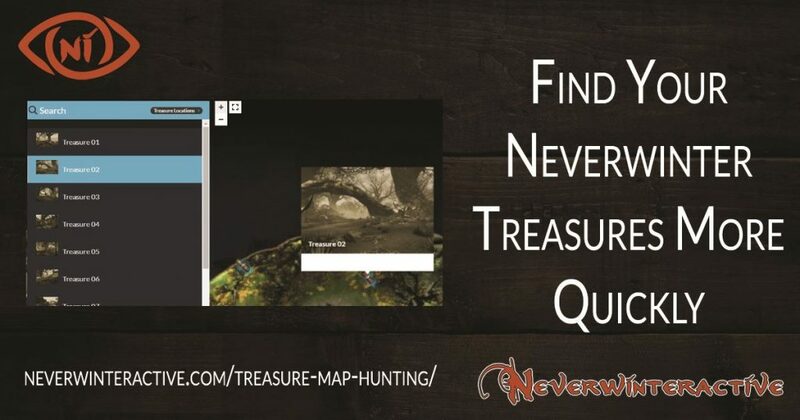 Clicking this will lead you to the Treasures page for that map with larger Treasure Map images for you to use while comparing maps on-hand to their in-game location. As I noted before, there are many new features on the maps pages, such as Category filtering, and show/hide capabilities. Be mindful that all 4 maps with Treasure Chest locations have their landmark icons hidden by default. You have to click the white circle on the right side of the category bar to fill in the map with those locations. A pop-up alerts users to some of the new features as well. So unless there is mass confusion this should be plenty to get everyone moving easily through their treasure hunts!